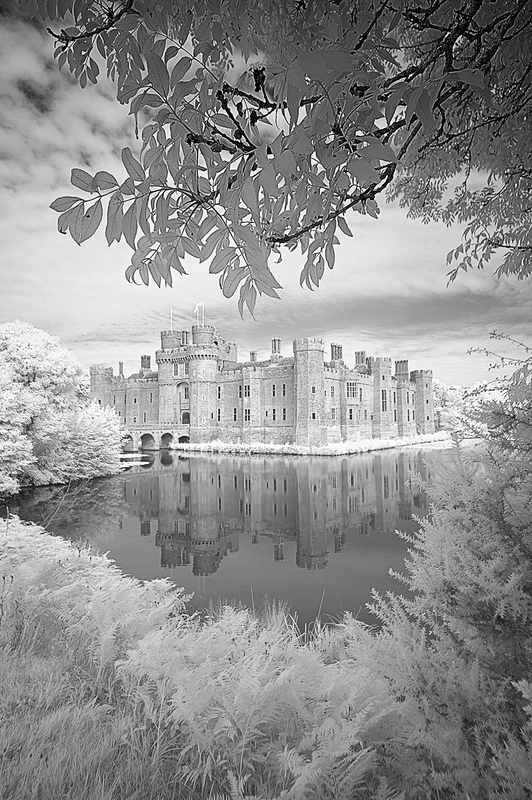 Herstmonceux Castle is a brick-built Tudor castle near Herstmonceux, East Sussex, England. From 1957 to 1988 its grounds were the home of the Royal Greenwich Observatory. Today it is used by the Bader International Study Centre of Queen’s University, Canada. Herstmonceux is one of the oldest significant brick buildings still standing in England; brick was an unusual material for the time in Britain. The builders of Herstmonceux Castle concentrated more on grandeur and comfort than on defence. This first image was shot on my converted Nikon D100. As the filter does not allow any colour to pass it results in a straight black and white image and is pretty much what the camera sees when the shutter is pressed. 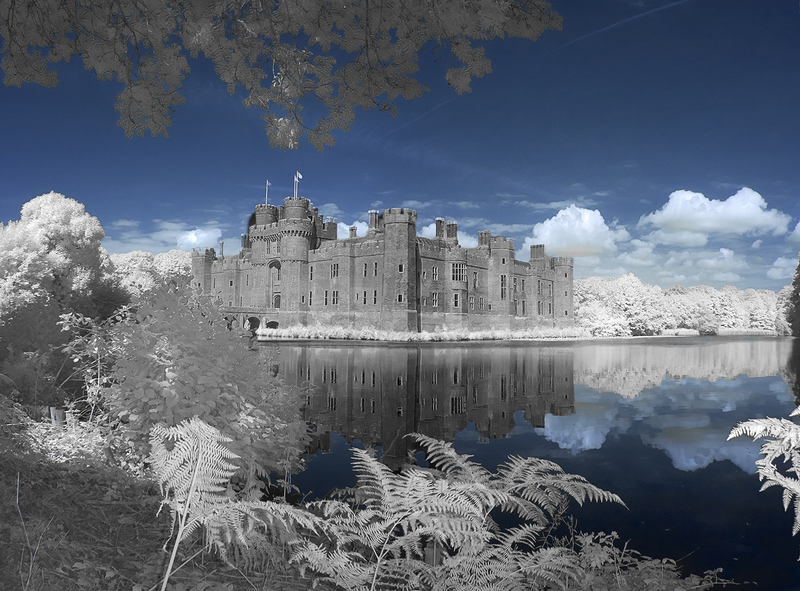 This next image of the Castle was shot on the same day before the cloud cover arrived with my converted Canon G12. With this camera I am able to manipulate colours in the image in Photoshop as the filter allows some light from the red end of the spectrum to pass.